Our detailed interpretive tour of this amazing outback city starts with it's discovery by John Campbell Miles in the early twenties and continues along to the present day. 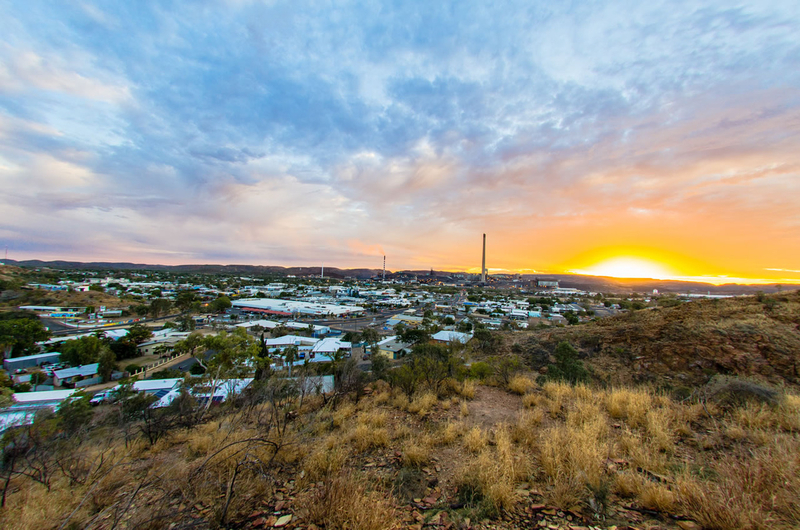 We look at the natural fauna of the area, traditional dwellings and original grand homes including the heritage listed Casa Grande built to house the Chairman and Managing Director of Mount Isa Mines and where Queen Elizabeth once stayed. We take a sneaky look at the mine and it's processes including the original copper open cut before getting a photo opportunity in front of the lead smelter and bore mill. We visit Mount Isa's train station only metres from the mine and the end of the line for "Progress and Prosper" as the rail line extension to Darwin never eventuated. Before heading back to Outback at Isa we visit Buchanan Park home to Mount Isa's world famous Rodeo, the biggest Rodeo in the southern hemisphere.